Dangers: contains small amount of saponins which can cause stomach upset. Some people develop skin rashes from contact. It also contains some estrogen mimics. 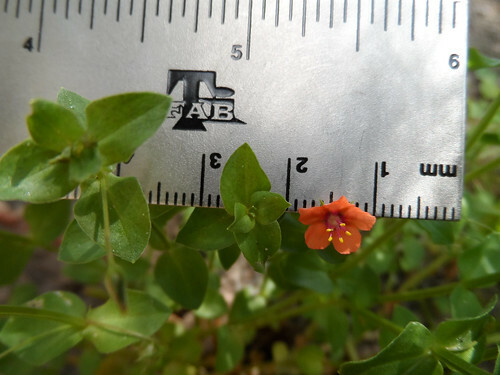 Scarlet pimpernel (Anagallis arvensis) plants. 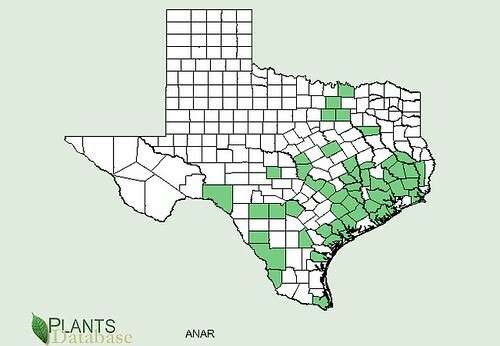 Note the square stems. Flowers are only 1/4 inch across. 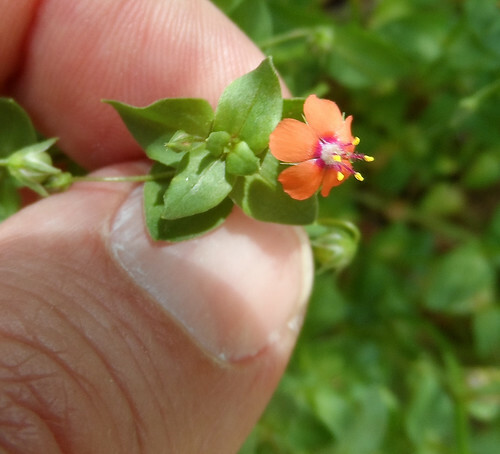 Close-up of scarlet pimpernel flower. 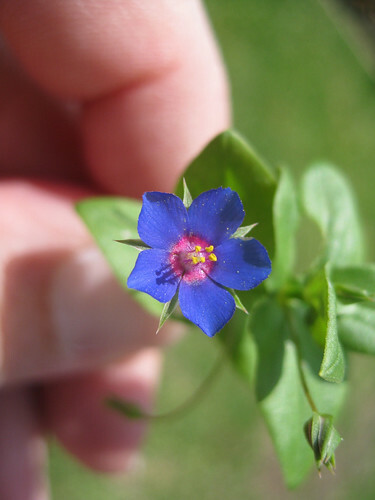 Scarlet pimpernel, blue variety (Anagallis arvensis Forma azurea). 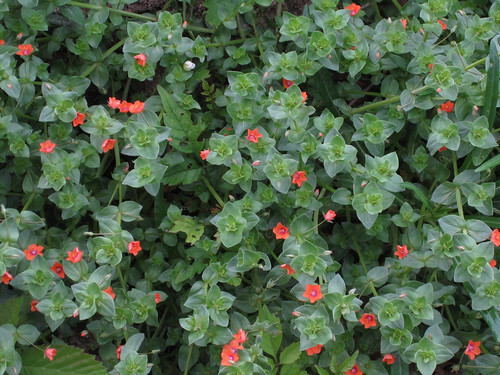 The scarlet pimpernel has a tradition of medicinal use going back to the ancient Greeks. They considered it to be a "cure-all", capable of treating any sort of injury, illness, or infection of bone, muscle, eye or other organ. The plant was dried and powdered, this powder then consumed in a drink. 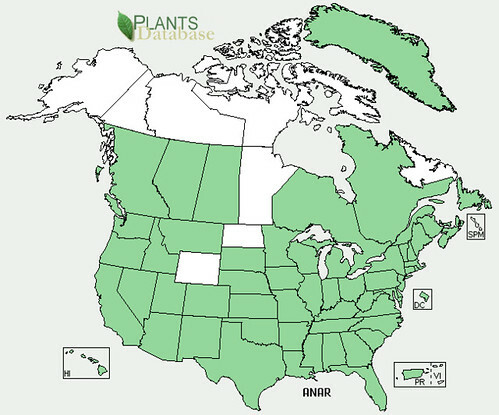 The raw plant has a rather unpleasant taste, probably due to the small amount of bitter saponin compounds it contains. It was also used as a wash for bad skin. Perhaps more importantly the pimpernel was thought to raise spirits and dispel melancholy, for which tea made from the fresh plant was recommended. 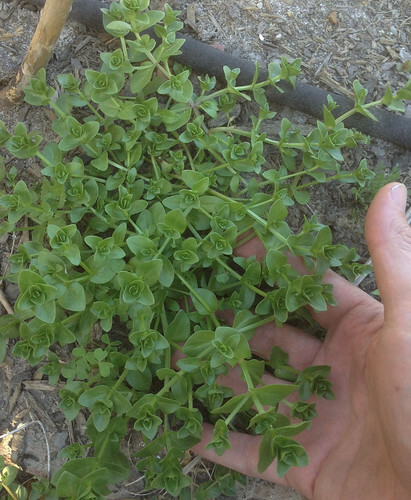 The pimpernel flowers close up when rain approaches, allowing them to be used as a crude method of predicting bad weather. The flowers also close up in the evening and won't reopen until stuck by sunlight. 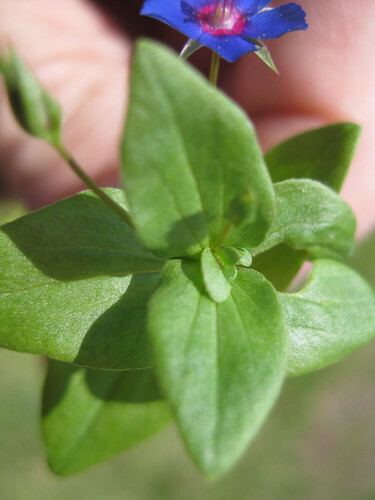 Pimpernel contains an estrogen mimic and so if that sort of thing concerns you then avoid this plant. The estrogen mimic can cause problems during pregnancy as well with certain hormone-sensitive issues. These include cancers of the breast, uterus, and ovaries along with endometriosis.